Big Cut Sawing & Drilling has a broad range of experience in Concrete Demolition for domestic, commercial and industrial purposes with over 25 years of experience in the industry. 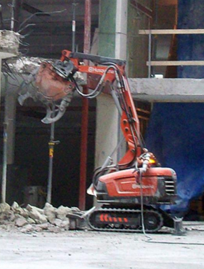 A concrete demolition job can be very demanding, and is best left to professionals. The same can be said for concrete core drilling on Melbourne area projects. When your project demands prompt, reliable concrete cutting, drilling, or demolition work, call the area’s specialists – Big Cut Sawing & Drilling. Based in Melbourne, the company has over 25 years of experience in the industry and has been servicing Victoria for a decade. Fully licensed and insured, the company provides a wide range of concrete removal and demolition services to residential, commercial, and industrial clients. 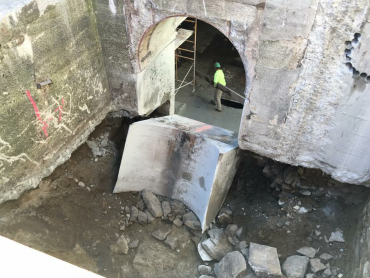 Big Cut Sawing & Drilling has completed thousands of projects involving concrete demolition. To complete the job, proper tools are a necessity. The company utilises the latest in technology and are experts in hydraulic bursting, a form of controlled demolition. Drilling a series of holes through a wall or floor is the first step. A hydraulic burster is then used to force the concrete to crack. 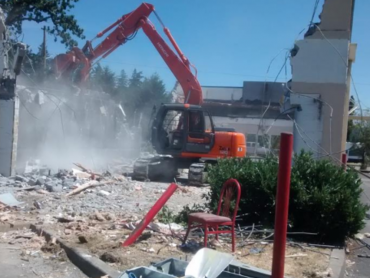 Once the structure is completely demolished, the concrete can be removed from the site. Big Cut Sawing & Drilling has performed this type of service for swimming pool removal, tennis court removal, and for the removal of concrete walls. These are the types of projects that are better left to professionals. Big Cut Sawing & Drilling also provides an extensive range of core drilling services. Using the most technologically advanced equipment in the industry, the company can provide core drilling for all types of projects in Melbourne and select projects throughout Australia. Core holes are necessary for a variety of commercial and industrial projects. Electricians and plumbers, need certain size core holes drilled through concrete structures to complete the installation of their electrical and plumbing systems. The experts at Big Cut Sawing & Drilling can core drill holes at any size diameter to meet the needs of a project. The core holes can be drilled to unlimited depths as well. The holes are drilled precisely and can be done at a variety of angles, vertically, or horizontally. Clients can have core holes drilled to any size, anywhere, anytime. The Big Cut Sawing & Drilling Team Concrete core drilling, demolition, and removal requires a number of different pieces of equipment. 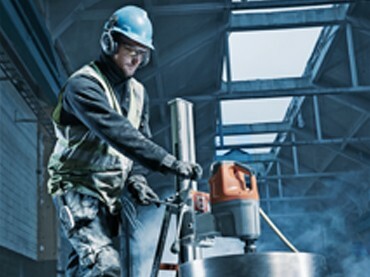 Big Cut Sawing & Drilling has a team of highly trained and experienced operators that are capable of using the types of machinery necessary to get these jobs done. The powerful equipment used in concrete cutting and drilling takes a great deal of skill to operate. The team at Big Cut Sawing & Drilling is very respectful of clients’ time and money. The company will work within the parameters of deadlines and budgets. The operators at the company are true professionals and aim to provide the type of service that one deserves and expects. When you are searching for honest, reliable, quality concrete removal in Melbourne at affordable prices, contact the area’s best. Call Big Cut Sawing & Drilling at 0409 066 660. Any size. Anywhere. Any time. That is how Big Cut Sawing & Drilling has approached every single one of its projects for the last 25 years. The company particularly prides itself on expanding its offerings from Melbourne to Victoria over the past 13 years, as well as to selected areas across Australia. The largest, toughest projects find Big Cut right at home, but there is also no project too small for their world-class team of operators. After a thorough assessment of every concrete project, Big Cut Sawing & Drilling devises and implements the safest, fastest and most effective plan. Even the tightest, most confined spaces are handled with a combination of professionalism and technologically advanced equipment. State of the art hand saws are available in 3-phase and hydraulic settings for projects that would be otherwise inaccessible. But Big Cut Sawing & Drilling is prepared for every kind of concrete cutter in Melbourne. For larger undertakings, such as window and doorway cutter projects, Big Cut can employ Ring Saws to cut at a depth of up to 150mm. For large-scale, detailed cutter jobs with no over-cuts, ingenious Chain Saws get the job done at depths of up to a staggering 400mm. But it doesn’t end there. For the biggest, most specialised deep cutting projects, Big Cut Sawing & Drilling has a convoy of track mounted, remote controlled Wall Sawing operating systems. These technological marvels can bore through 800mm of heavily reinforced concrete. It doesn’t matter if the surface is vertical, horizontal, inverted, uneven or covered in staircases. The Wall Saw operating system makes these concrete cutter projects a safe and simple task. Your Choice For a Commercial Concrete Cutter In Melbourne. But Big Cut Sawing & Drilling takes their expertise to an even higher level. They can handle commercial, industrial, residential and civil projects of enormous proportions thanks to their investments in the most innovative wire saws available. These incredible machines are the most efficient ways yet developed to remove truly large-scale concrete structures. There is literally no project too big for this Melbourne-based company. Foundations, bridges, piers, thick walls and even complex concrete structures reinforced with heavy steel are all part of a day’s work. The beauty of the Wire Saw is its potential to cut at unlimited depths, which means no obstacle is too deep, too wide or too unwieldy. This is made possible by the revolutionary Wire Saw technology that uses a multi-strand diamond cable. When combined with a series of heavy-duty pulleys, the Wire Saw is able to produce a continuously looped cutting device. As if that isn’t enough, these saws produce little to no vibration and extremely low-decibel noise volumes. This enables them to be equally well suited to dry conditions as to wet commercial spaces where water slurry can be a concern. But Big Cut Sawing & Drilling’s most valuable assets are its team and its devotion to customer service and satisfaction. Projects are not complete until the client’s needs have been met and exceeded. This is why Big Cut Sawing & Drilling is the definitive choice for a commercial concrete cutter in Melbourne. Big Cut Sawing & Drilling is committed to providing the best concrete drilling in Melbourne. For over 25 years, Big Cut Sawing & Drilling has strived to reinforce its position as the industry leaders in quality and customer service. 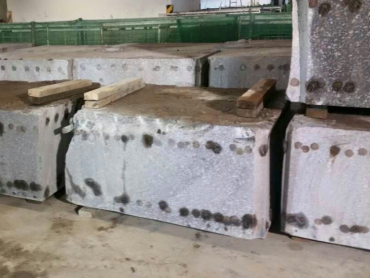 With performance so responsive they are able to offer same-day service in the Melbourne metropolitan area, Big Cut Sawing & Drilling is the one-stop answer for all your commercial concrete drilling needs. The team of operators and specialists at Big Cut Sawing & Drilling are its heart and soul. Competent, experienced, certified and innovative, these professionals possess a comprehensive understanding of the concrete drilling business. More importantly, however, is their understanding and appreciation of customer service. Customer satisfaction equals employee satisfaction. Feedback is always encouraged, as well, because Big Cut is constantly improving its famous, personalised approach to every project. If there is any way for the company to improve and grow, Big Cut is interested and takes every measure and effort to heart. Big Cut Sawing & Drilling encapsulates this mentality 365 days a year. 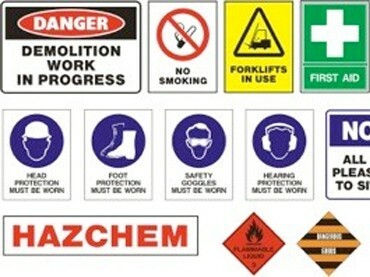 There can be no lapses in judgment, safety or professionalism when dealing with such high production jobs as industrial concrete drilling in Melbourne. This attests to their sterling reputation and uncanny ability to handle any challenge. Vertical, horizontal, off-camber and inverted surfaces can all be drilled with absolute precision. Any job. Any time. Anywhere. 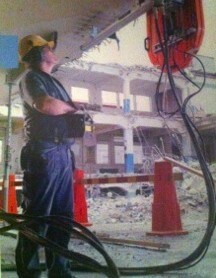 This is the beauty of concrete drilling when Big Cut Sawing & Drilling is charged with the task. Their core drilling leaves clean, precise and finished openings, regardless of how heavily reinforced the concrete happens to be. This means that when Big Cut has satisfied with your drilling needs, you’re ready to move on to the next phase of the project. This is an underrated aspect of all construction work. When Big Cut Sawing & Drilling finishes a project, the project is truly finished. There is never a need to waste time and money applying the necessary touches. One of the biggest concerns of commercial concrete drilling in Melbourne is power. By power, we mean electricity. Every project looks easy when you’re walking the ground the scouting the work. But this is where inexperienced companies run into trouble. Fortunately for Melbourne, Big Cut Sawing & Drilling is equipped with a complete fleet of technologically advanced equipment. If commercial walls need to be cut, Big Cut can do it. If industrial concrete needs to be sawed, Big Cut has the ability to cut at unlimited depths. If power is not available, Big Cut can bring in one of its 9 or 65 KVA generators to provide all of the portable power you would ever need. Fortunately for the rest of Australia, Big Cut’s success has allowed it to expand its services to Victoria and across the rest of Australia in the past decade. At the end of the day, Big Cut Sawing & Drilling is the most experienced and professional full-service cutting and drilling operation in Melbourne.